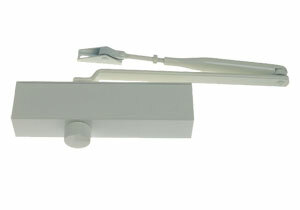 Door closers are devices for automatic door closing. 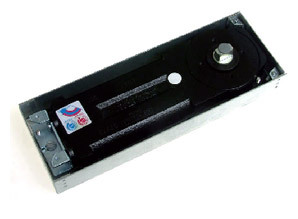 Most commonly used devices are hydraulic door closers, using for closing the energy input during door opening. 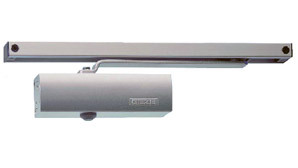 We offer a wide range of door closers, Europe's leading manufacturers like GEZE, DORMA, ECO-Schulte, G-U. 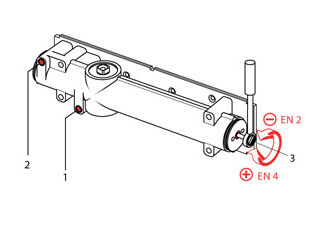 In the catalog we present only the basic models, in our offer are available many other models with various special functions, like door closers for double-doors, electrically operated door closers, models with delay closure and other. 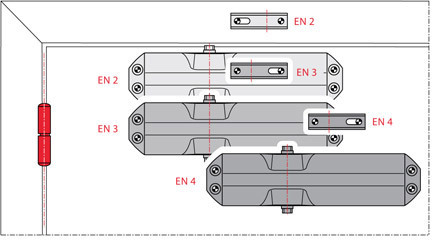 How to choose a door closer? Picture. 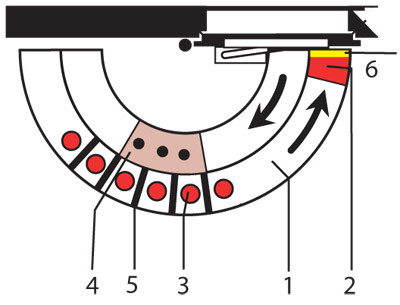 1A Determination of closing forces EN 2/3/4 on example: DORMA door closer TS 68, EN2 and EN3 force is achieved by rotating the support arm, EN4 force by moving the door closer on the door wing.